If people know anything about college, it's that it's expensive - sometimes overwhelmingly so. Paying for school was manageable for some people only a few decades ago, but, now, many students need to apply for loans and scholarships to even come close to covering the bill. According to the College Board's Trends in Higher Education report, the average cost of tuition for both private and public colleges and universities significantly increased in the past decade. If the prices continue to rise, students may no longer be able to afford to continue their education. It remains in the hands of university officials to help these young people attend college. Through adopting new procurement procedures, schools may be able to reduce the cost of tuition. Secondary education facilities are comprised of several different departments, and each of those has various subcategories that department heads need to accommodate. The needs throughout the school change depending on which section students and professors are in. Procurement methods should meet all everyone's requirements. The two popular processes - centralized and decentralized - have both benefits and disadvantages. Centralized operations simplify ordering. One office or official is designated as the person who does all the purchasing. However, this can leave the individual departments without the supplies they need, ChainLink Research claimed. The focus remains on the school as a whole. Decentralized procurement has the opposite effect. The buying power is in the hands of the departments. They have the freedom to purchase what they need. Unfortunately, schools may go over budget with so many people having free reign of the finances. Center-led procurement is the best of both worlds - one centralized unit is doing the spending, but key individuals contribute to the decision-making process, eSourcing Forum explained. People from each department are allowed to share their thoughts, describe their needs and participate in the discussion. This eliminates excess spending and ensures that all university divisions have what they require. Why do schools need center-led procurement? The educational supply chain expands across many industries and areas. Colleges and universities receive money from the federal government, students and their families, donors, and scholarship organizations. This funding is then put toward ensuring students and faculty members enjoy their experiences while attending or working at the school. However, this goal can result in exorbitant expenses if departments and offices don't work together. The center-led model allows people to share in the decision-making, which means the organization doesn't purchase extra supplies. Instead, the groups participate in "strategic sourcing," Supply & Demand Chain Executive contributor Steven Lutzer claimed. Together, the various departments can decide what expenses are crucial and which areas could handle budget cuts. They'll be able to weigh the pros and cons of their purchases and consolidate expenditures so that nothing is bought that they don't need. While schools and students won't see the effects immediately, their returns on investment will be worth it. 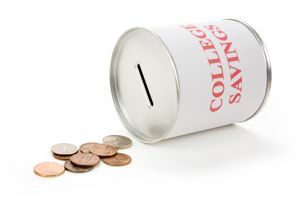 When colleges and universities begin to cut costs, the institutions will see their overall savings start to increase. Eventually, they'll be able to lower their costs of tuition and may see more students enrolling in school.